This week we have Julie, who is greenthing on Etsy. Her shop items are displayed on the sidebar this week, and some recent happenings in her world are below. I've loved plants since I was little, but started gardening on a regular basis when I became disabled. It's great therapy for me! The team is great! It's nice to be in touch with others who love plants and gardening, and to be able to exchange ideas or get feedback from the group is helpful. My goal is to have my entire yard provide habitat for wildlife eventually. That will take years, but I add to my gardens every year. I love to see wildlife in my yard. Also, I read a lot of books! Currently I'm working on tinctures. I'm excited to be able to offer them in my store. Tinctures are much more effective than pills, and mine will be made from plants I've grown myself so I will know the quality and freshness of them. I''ll have a few of the main ones at first, but I hope to keep expanding. I'm also propagating lilies and roses and hope to have them available by Fall. 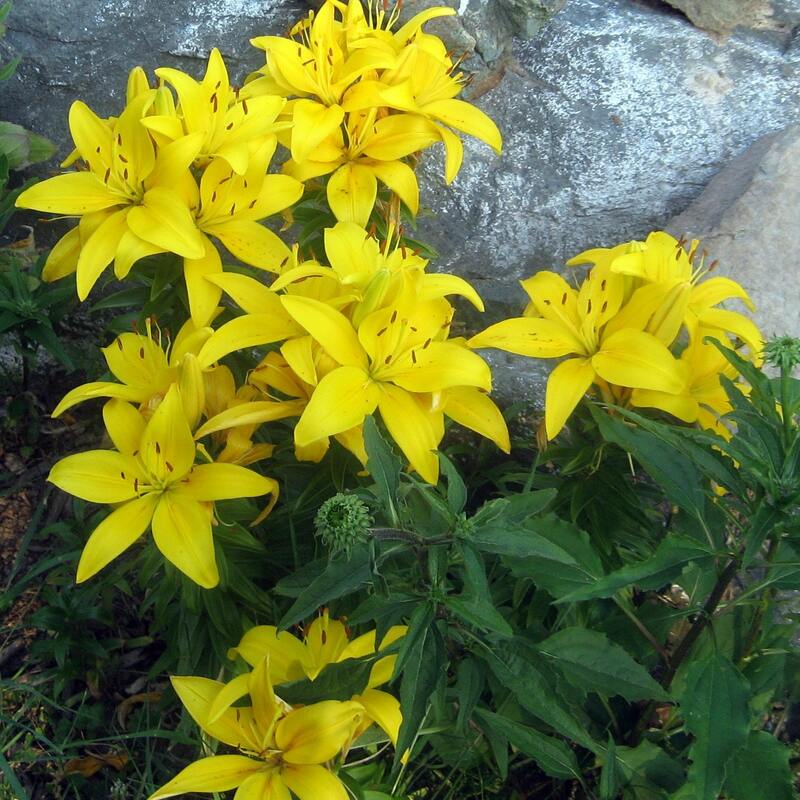 A couple of lilies are listed already. Yes, I'm disabled and Etsy allows me to have some income coming in. I actually run three shops and sometimes it gets overwhelming! I work on my other shops, I read, I explore when I'm able to (for my urban exploration photography), and visit with friends. Just one? "The Green Pharmacy" by James Duke. Fresh tomato sandwiches are my favorite. Simple, but delicious! I love to use herbs in just about anything, especially spaghetti. I add oregano, thyme, cayenne pepper, rosemary and garlic.